Hermosa Creek Grill breakfast burrito. Raider’s Ridge Cafe breakfast burrito. The ginormous breakfast burrito at CJ’s Diner. Y’all. 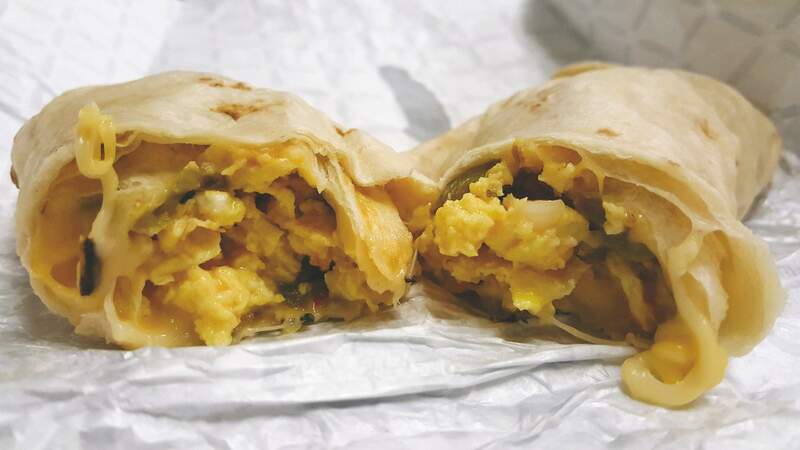 There are a lot of breakfast burrito places around here that you want us to try. Good thing breakfast burritos are God’s gift to breakfast and you guys have excellent taste in food. Still, we will definitely need a (long) break from burritos after this. Here are some more of your Durango favorites that we had the delicious pleasure of taste testing. Bart’s Deli is tucked into a gas station in southern Durango, and as I am of the belief that gas station food can be some of the best food you can get, I was quite excited. These burritos are smaller than the typical burritos we’ve found around here, but we are perfectly fine with that. Sometimes, you don’t need a grab-and-go burrito as thick as your thighs. 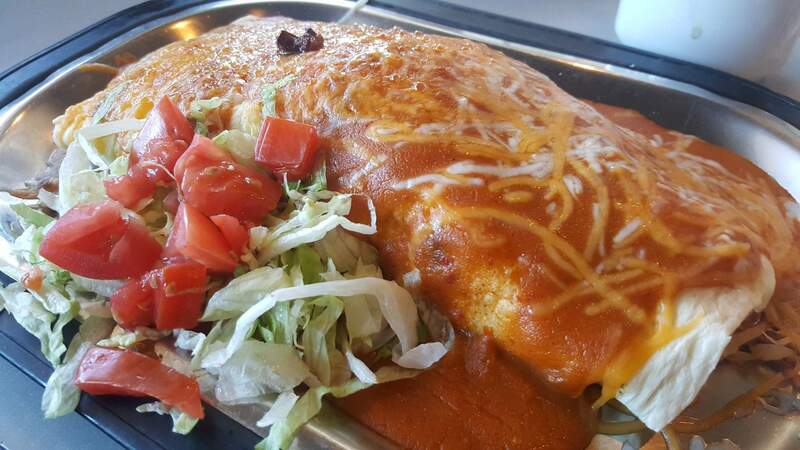 What we’re trying to say is don’t underestimate this burrito. It’s been one of our favorites to try because they know how to layer on the cheese, which in our opinion is the most important ingredient. Even my office mate, who is not a fan of breakfast burritos, thought this one looked and smelled like a breakfast winner. I have never seen a breakfast burrito this big in my life. Max’s Big Breakfast Burrito at CJ’s Diner is truly a force to be reckoned with. It’s a ginormous flour tortilla stuffed with scrambled eggs, hash browns, cheddar cheese, and your pick of either chicken, ground beef, ham, bacon, or sausage, then smothered in red or green chile. This burrito was as big as my head and soooo good. It should have been named Max’s Impossible To Finish Eating Big Breakfast Burrito. I dare you to go to CJ’s, order a breakfast burrito, and try to eat the whole thing. I dare you. Raider Ridge will not tell you how to order your breakfast burritos, and I appreciate that. There is, in fact, a long list of ingredients you can choose from as soon as you step up to the register. 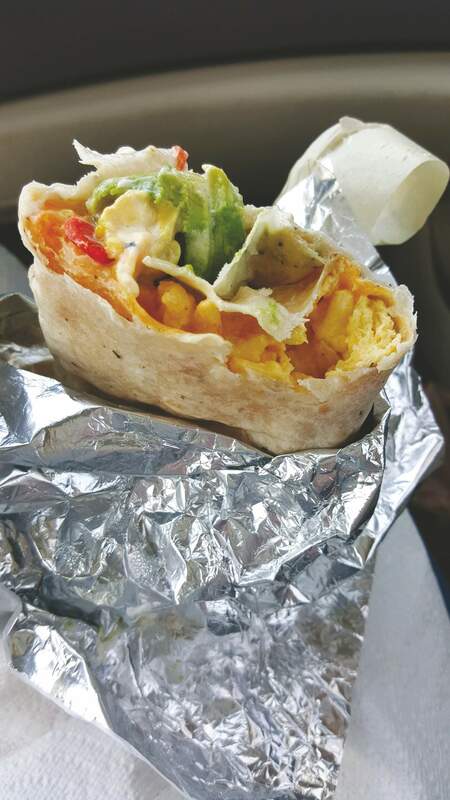 You can choose six options to throw into your breakfast burrito, from scrambled eggs to tofu and homemade pesto. With so many choices, you’re most likely going to be standing in front of the cashier for a hot minute wondering how you could possibly choose just SIX ingredients from this laundry list. But, we believe in you. You’ll make the right decision. 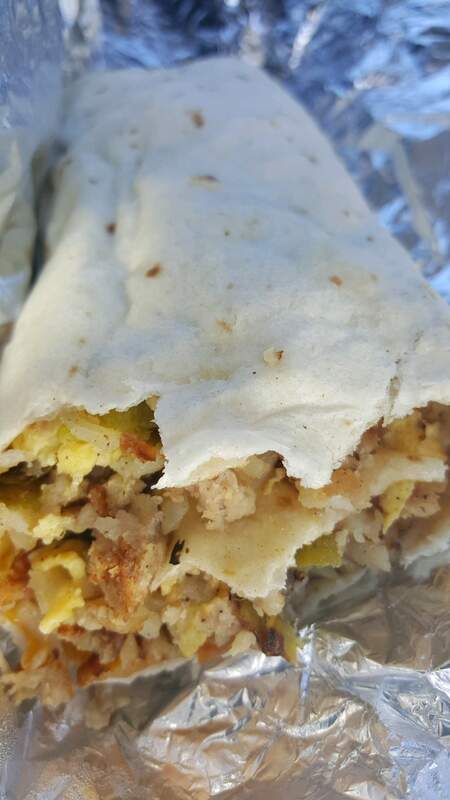 As far as size goes, Hermosa Creek Grill’s breakfast burritos come in at a close second to CJ’s burritos. My eyes nearly popped out of my sockets when the cashier handed over my sausage, egg, potato, and cheese burrito. I took on the hefty task of trying to shovel this meteor in my mouth on my drive back to Durango, and it went about as well as you would imagine. You won’t be disappointed by this hearty burrito, and you also have the option of getting a veggie or bacon burrito.